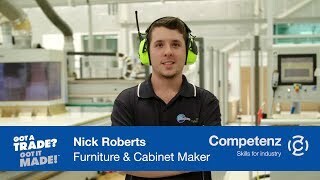 Congratulations to top refrigeration and air-conditioning apprentice William McClune who took out the Wallie Askew Memorial Cup at this year’s industry awards in Christchurch. The competition pitted seven apprentices against one another in a variety of challenges designed to test their skills. William’s manager at Fenn Refrigeration in Christchurch, Tim Fenn, who has been training apprentices for 30 years, was quick to acknowledge William’s efforts. An interest in electrical technology, and an opportunity for some work experience at Fenn Refrigeration, set 22-year-old William on the path to his chosen career. He has now completed his apprenticeship. We wish him well in his career.